Ahead of its spring meeting, the International Monetary Fund has cut its forecast for global growth for the fourth time in the past year and warned of the risks of Britain leaving the European Union. The IMF downgraded its global growth forecast , predicting global GDP will edge up only slightly this year to 3.2%, from growth of 3.1% in 2015. That compared with a 2016 forecast of 3.4% in a January update . The 2017 forecast was cut to 3.5%, down from 3.6% in January. The report cited China’s slowdown, persistently low oil prices and chronic weakness in advanced economies as key drivers. The IMF also warned that if the United Kingdom voted to leave the European Union, the move could cause "severe regional and global damage". The IMF expects growth in China to slow to 6.3% in 2016 and 6% in 2017, as the economy continues to rebalance from an investment to consumption model. The new report highlighted faster-than-expected slowdown in imports and exports, in part reflecting weaker investment and manufacturing activity. These developments, together with market concerns about the future performance of the Chinese economy, are having a knock-on effect on other economies, reducing trade and lowering commodity prices. The IMF says China’s slowdown is also affecting overall economic confidence around the world and leading to increased volatility on financial markets. Oil prices have declined markedly since September 2015, partly due to sustained increases in production by Organization of the Petroleum Exporting Countries (OPEC) members. Global oil production continues to exceed global oil consumption. 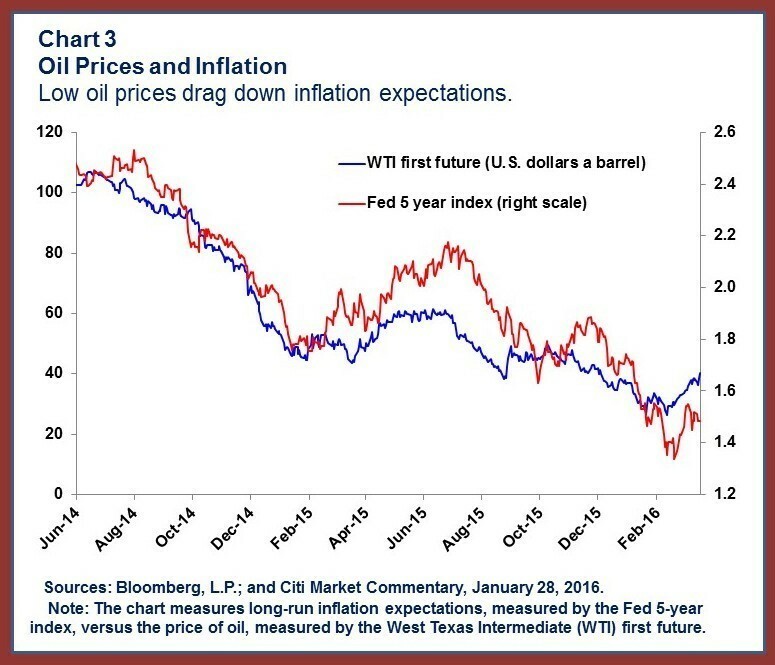 The IMF noted that futures markets are currently suggesting only modest increases in prices in 2016 and 2017. The organization says that hopes of cheaper oil boosting growth have not been fully realized, as the benefits of low oil prices have not routinely been passed on to consumers. 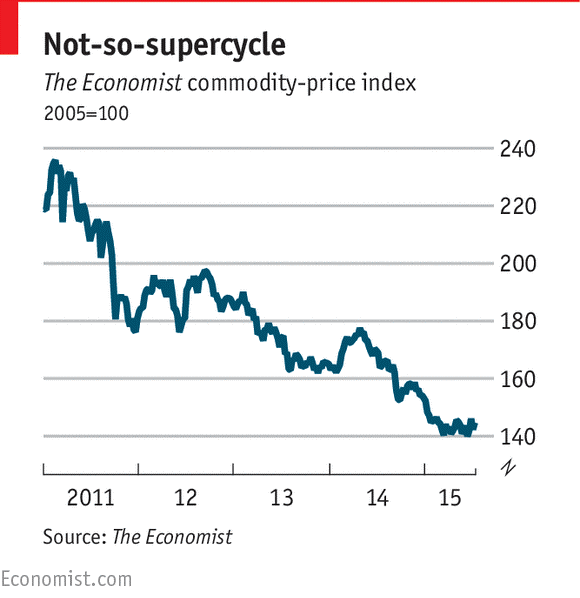 Prices of other commodities, especially metals, have also continued to fall. The dazzling growth of China prior to the financial crisis saw commodity producers around the world ramp up production. Massive new commodity-production projects were undertaken, which took years to come on line. By the time they did, demand in China was waning. Over-supply has added to the downward pressure on prices. Growth in emerging market and developing economies is projected to increase from 4% in 2015 – the lowest since the 2008–09 financial crisis – to 4.3 and 4.7% in 2016 and 2017, respectively. The IMF reports that while the situation for emerging markets varies widely, in many cases it is very challenging. China’s slowdown and lower commodity prices are predicted to continue to put severe strain on many economies. While gradual recovery is expected in some places currently experiencing severe difficulties, such as Brazil and Russia, the report notes that this could be frustrated by new economic or political shocks. The IMF takes note of the monetary easing that had taken place in the Eurozone and Japan, and says that within advanced economies, financial conditions remain “very accommodative”. 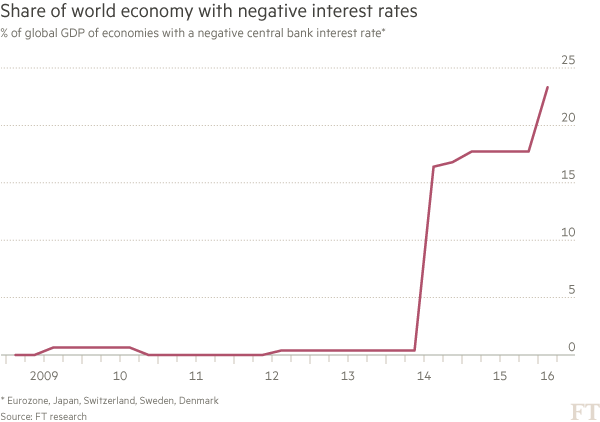 Negative interest rates are now being seen in Japan and parts of Europe. But the report found that the prospect of a gradual increase in interest rates in the United States and concerns about emerging-market growth prospects have contributed to tighter external financial conditions, declining capital flows and further currency depreciations in many emerging-market economies. Have you read? 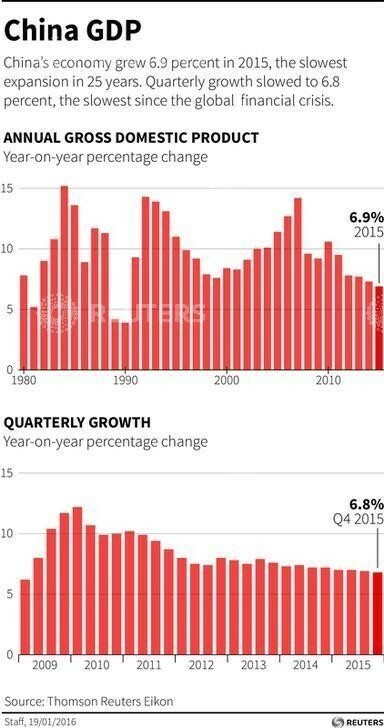 What's really happening in the global economy? Where are the world's tax havens and what are they used for? 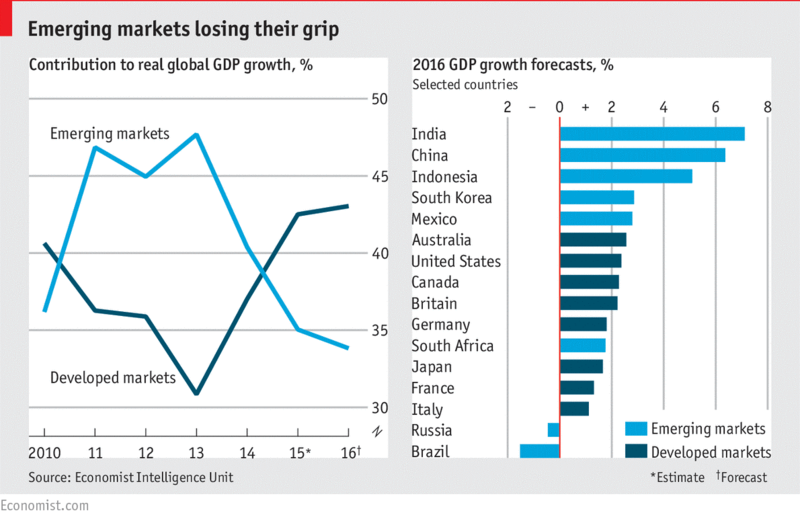 What are the top global risks for 2016?